It becomes challenge now how to produce/store/transport hydrogen for fuel cell safely and economically. Uchiya researched and developed the hydrogen supply system for the fuel cell. The new system will make it possible to safety produce/store/transport/supply pure hydrogen. 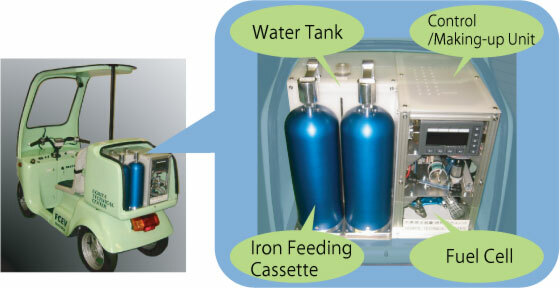 We have been developing the Hydrogen Generator for portable fuel cell system and for light fuel cell vehicles.